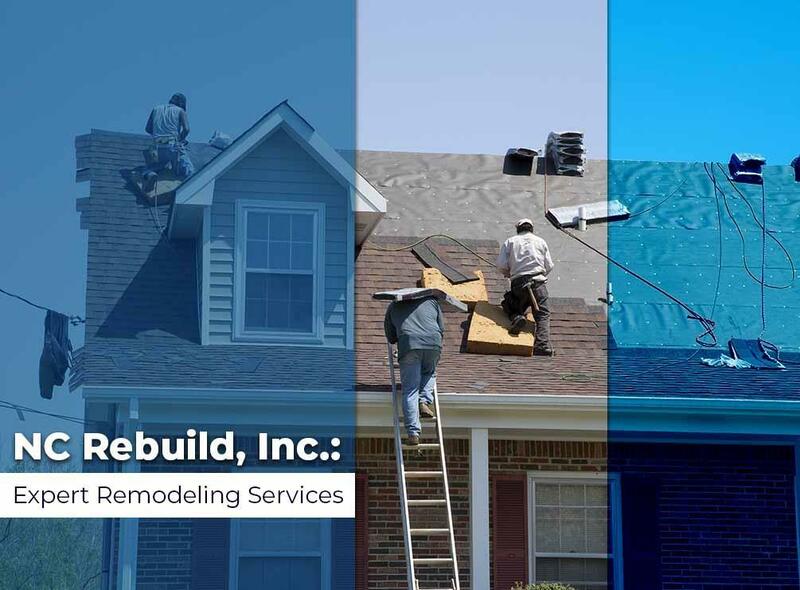 At NC Rebuild, Inc., we are Raleigh’s most trusted roofing contractor. Since 1996, we have been serving local residents and providing them with quality workmanship through our residential and commercial roofing services. In addition, we can handle siding, painting, gutters and all of a home’s exterior needs. Find out more about the services we have to offer. The roof is one of the most critical components of your home, and its condition directly affects how comfortable and energy-efficient your home is. A roof replacement is also one of the more complex home improvement projects since you’re not just addressing the surface of the roof, but also the components underneath it. Gutters are an often-underrated component of a roofing system. In fact, many homeowners consider them to be optional, not knowing that they play a critical role in protecting the roof and the entire home exterior from water damage. Gutters not only protect your home, but certain gutter products also improve its curb appeal. A residential gutter installation completed by NC ReBuild features seamless gutters. They are the superior choice for gutters since, unlike sectional gutters, they don’t have seams where water can leak through. Seamless gutters are also more attractive to look at, providing a nice finishing touch for your exterior. NC ReBuild, Inc., is the name to trust for expert roofing and exterior improvement services. Call us today at (919) 625-5453 to learn more about how we can help you with your home. We look forward to serving you!